The Global Learning Curriculum Model (GL-CM) provides a K-12 interdisciplinary, collaborative, global focus to existing curriculum that adds depth and complexity, made possible through asynchronous and synchronous technologies. “Global learning uses information communication technologies that allow learners from diverse cultures to participate in an intercultural dialogic co-construction of 21st century knowledge, skills and attitudes needed by global citizens” (www.globallearningeducation.com, 2012). Through global learning exchanges, students gain an understanding of other cultures which leads to the attainment of multiple perspectives and global competencies necessary for their future as competent, successful global citizens in the 21st century. This paper discusses the Global Learning Curriculum Model, its applications in K-12 educational settings, and the attainment of global competencies. Landwehr Brown, M. & Gibson, K. (2012). Developing Global Competencies through the Global Learning-Curriculum Model. 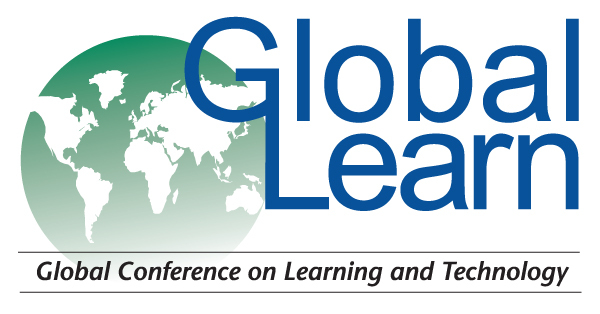 In Proceedings of Global Learn 2012: Global Conference on Learning and Technology (pp. 115-118). Online,: Association for the Advancement of Computing in Education (AACE). Retrieved April 18, 2019 from https://www.learntechlib.org/primary/p/42051/. Fisher, S., & Hicks, D. (1985). World studies 8 – 13: A teacher’s handbook. London: Oliver& Boyd.